Description Apollo 800 fiber textiles are available in dry woven gasket cloth (Style 800); dry woven tape (Style 850) and round twisted rope (Style 825). These items have numerous uses in insulating and packing applications. 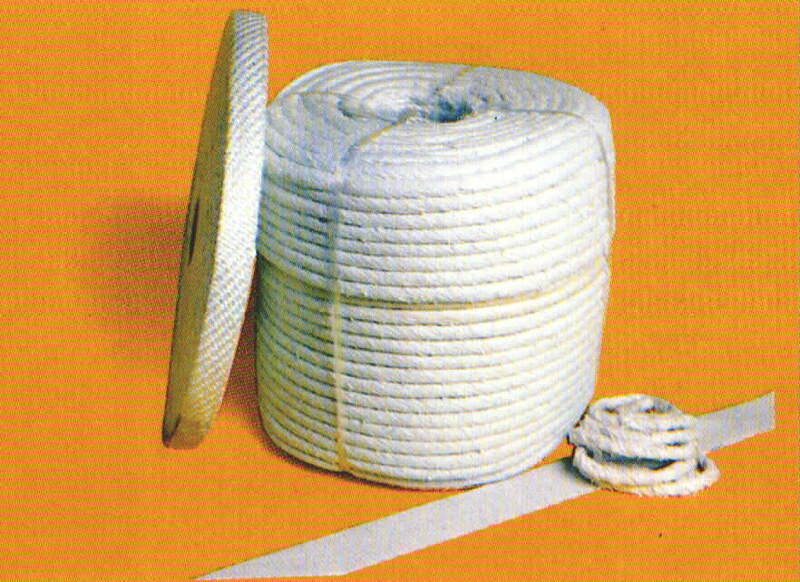 Description Apollo 700 fiberglass textiles are available in dry woven gasket cloth (Style 700); dry woven tape (Style 750); and round twisted rope (Style 725). Description Style 401 is a pure graphite material which comes in tape form allowing it to be used in emergency applications where the appropriate packing is not available. It also makes an ideal steam valve packing. Its resistance to chemicals and high temperatures as well as its low coefficient of friction gives Style 401 other unique advantages as well. 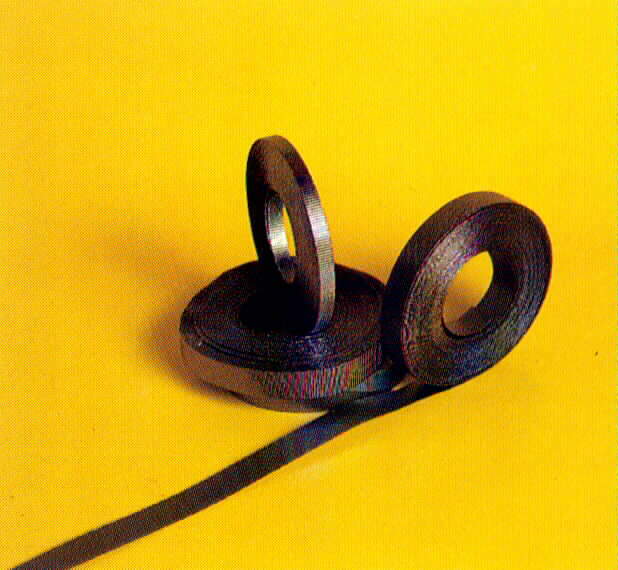 Description Allseal is a pure PTFE premium quality thread seal tape. This tape meets MIL-T-27730A and is available in 520" rolls in widths of 1/2" and 1"
USE General Purpose Thread Sealing. 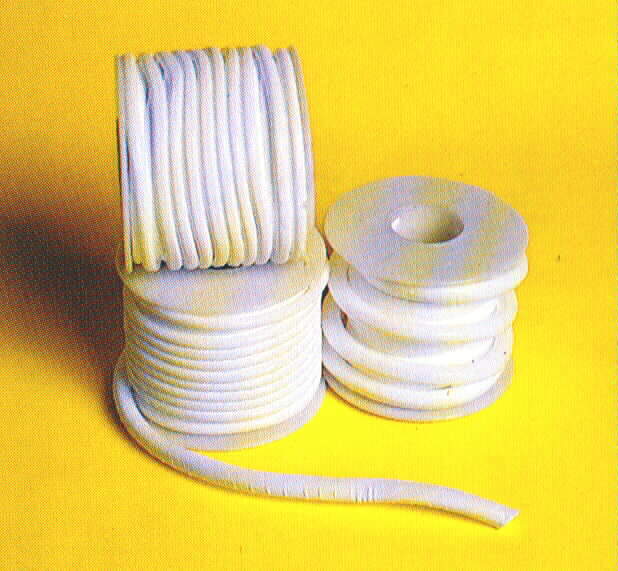 Description Alljoint is a pure PTFE cord-like material suitable for valve service and as an instant gasket. Particularly good when used as a gasket for odd-shaped flanges by laying around face and bolts. Available in 3/32", 5/32", 7/32", and 9/32" diameters. USE Chemical Valve Packing or "Instant Gasket". 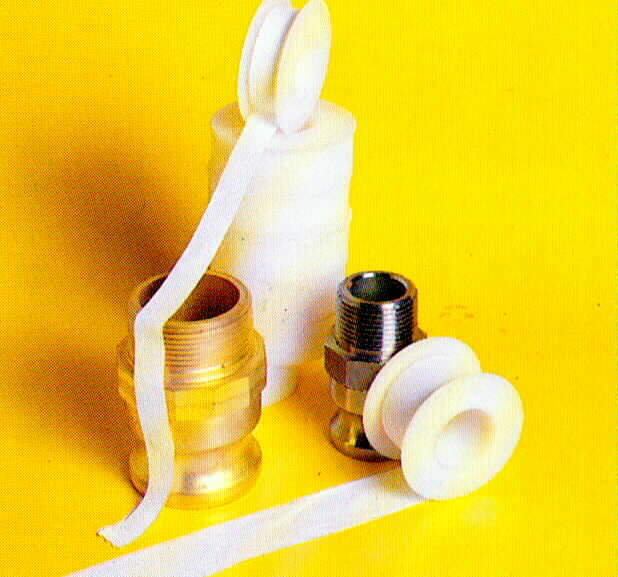 Description Expanded Alljoint is made of revolutionary expended PTFE material that offers all the advantages of PTFE but adds far greater resiliency. In addition, Expanded Alljoint is adhesive-backed, assuring easy and precise installation. Available in 1/4" 1/2" and various other widths.